Contoura™ Insoles are certified to elevate comfort and performance, using our patent-pending anatomically shaped design and innovative material compound. 85% of consumers say the fit and comfort of an insole affects their buying decision. Don’t you think it’s time the insole stopped being an afterthought in the footwear design process? Contoura™ helps footwear brands bring further value to customers with better fitting, more comfortable shoes. We will custom fit an insole based on your last dimensions for ultimate comfort designed for each shoe’s individual fit profile. By combining lightweight materials, patent-pending shape, and a sustainable process, Contoura™ provides you the best insoles for your shoes. 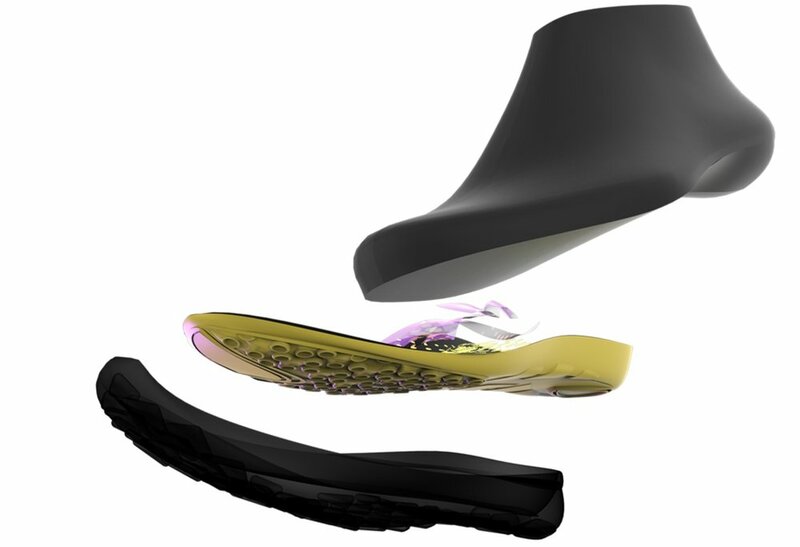 Contoura™ Insoles use a patent-pending shape algorithm from Insite® Insoles. Derived from 120,000 custom orthotic prescriptions, this support shape delivers the benefits of custom orthotic insoles in a package that’s finally accessible to everyone. After meeting top notch science and wellness standards, the Contoura™ sockliner provides the best footwear experience possible. Turns out, a healthy foot contour and a higher foam resilience improves your gait and muscular activity. Get the science explained by Dr. Von Homer, M.Sc, BOCPD, PhD. Testers replaced their current footbeds with Contoura™ Relief insoles. All testing was conducted through the Mesh01 3rd party wear test platform.